An overriding challenge coming to the forefront lately in public perception is the need to just reinvent about everything. Advances in scientific technology and revolutions, new political and economic configurations, environmental solutions, or a modernized code of ethics for the current century life demands innovative thinking. Evidently, the liability of reinvention tumbles on current generation of students. Hence, the education should focus on nurturing innovation by setting inquisitiveness, serious thinking, profound understanding and resourceful brainstorming at the center of the academics. Practically, innovation and the current academic scenario most often operate as antagonists. Though the system is evolving, it is not quick enough to capture younger minds equipped for the new era. But there are several ways that educators can add to the existing system and propose the required tools and experiences that shoot an innovative mind-set. A teacher’s biggest challenge is capturing the students’ attention and setting ideas in such a way that it stays with them outside classrooms. To make this happen, classroom practices should be redefined and innovative ideas that make teaching and learning methods more active and cooperative must be practiced. The modern technology gadgets and their accessibility to all can be taken advantage to facilitate academic achievement in new and innovative ways. The current problems in our teaching methods are teachers delivering content which can easily be obtained from elsewhere, teachers spend time in assessment which can be automated and there is an imbalance between theory and practice. The digital methods of teaching when introduced in a classroom can create a new educational environment that will automatically encourage student participation. • Integrating Virtual Reality into every subject area and curriculum. The immersive nature of virtual reality brings better understanding of the subjects and allowing exploration to a level that would be otherwise difficult to duplicate within the classroom environment, making it an ideal catalyst for curiosity and true learning. • Teaching with Augmented reality to provide a unique way of interactive experiences. Especially laboratory safety procedures and explanations can be supported using AR which will trigger the students’ interest. 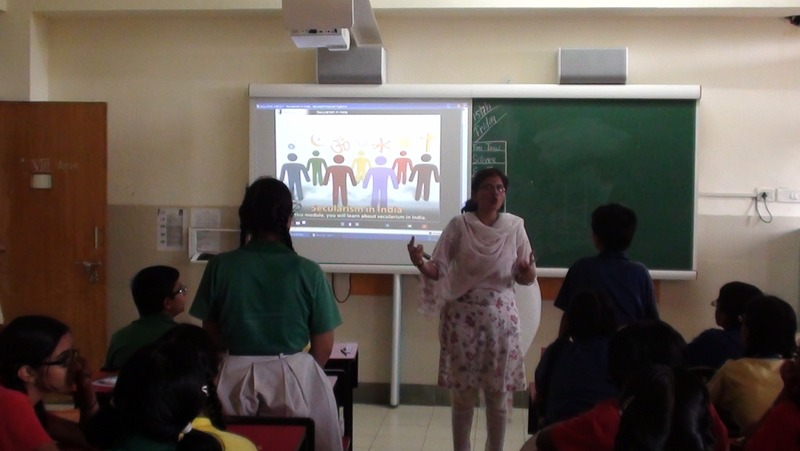 Students can even be made to record videos themselves providing definitions to different concepts. • Enhance the learning experiences using Gamification. Gamification can be used in web based education as a tool to increase the student motivation and engagement. Teaching Learning is a sacred pursuit. Teaching has NOT happened if Learning has NOT come and no unique ‘one method fits all’. Innovative teaching is a necessity for all teachers in order to meet the educational needs of the current generation students. However, teachers’ competency for innovative teaching is a key factor influencing innovative teaching performance. Some research points out that many teachers lack competencies for innovative teaching, which is the point of concern now. Dear Ma’am, thanks for you interest. We conduct IDA Connect Workshops for teachers at our event Didac India which is going to be held in Bangalore in 2019. Please visit our website http://www.didacindia.com for more information!